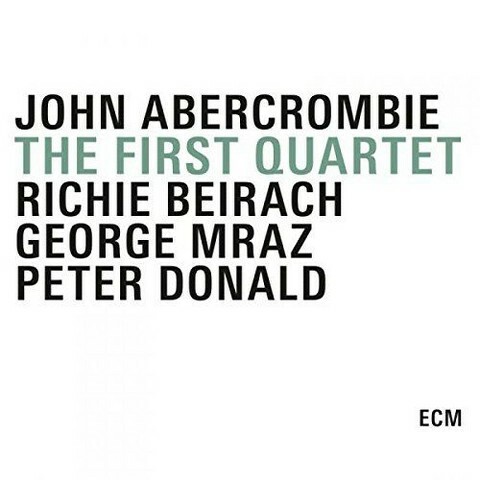 I've been a fan of John Abercrombie's work for a long time now - it was a bassist with whom I was playing that suggested we try 'Timeless', the title track to the guitarists first ECM release who first introduced me to his work. He was a great bass player, with a real elastic sense of timing, and so no matter what noodley garbage I tried, he made it sound good. Soon, I was digging into the early recordings from Gateway (Abercrombie with Jack DeJohnette and Dave Holland) and the later organ trio work with Dan Wall and Adam Nussbaum. 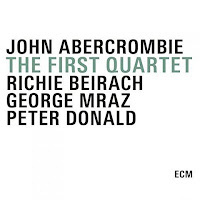 With the rerelease of these out of print recordings by Abercrombie's first working quartet, ECM has selected the series of recordings that found the guitarist's style gelling. 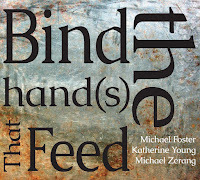 Stylistic elements no doubt abounded before, but it was here that it came together with bassist George Mraz, drummer Peter Donald and pianist Richie Beirach. These recordings opened me up to incredible ebb and flow of Abercrombie's playing. The spaciousness, the hot streaks, and the quiet intensity. In sequence, the albums are Arcade (1978), Quartet (1979) and M (1980), and the latter has always been my favorite. 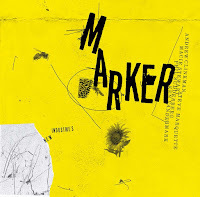 Its cover looked a bit like a Richter squeegee painting with a stark M on it. The playing was loose but thoughtful, Abercrombie's guitar laser focused against a crystalline backdrop. The opening 'Boat Song', begins with a strident rhythm, the guitar building in power, but never rocking. Beirach's piano is integral to these songs as well. Never over playing, he gives Abercrombie support that sits between shadow and underlayment. His own solos, like Abercrombie's, are reserved but always hinting at a gathering intensity. The sheer fire power of the band is undeniable on 'What Are The Rules', which doesn't hold back. That’s what’s really cool; the three albums don’t sound at all alike. But maybe, in our minds, we felt like we were starting to sound the same. M is a good record, but I always thought that the other two were much better. The few moments on M that I think are good are really good, but as a whole, it wasn’t as musical; it was more of a burning record. Well, many years later, and with a fresh remaster, they all sound pretty damn good! 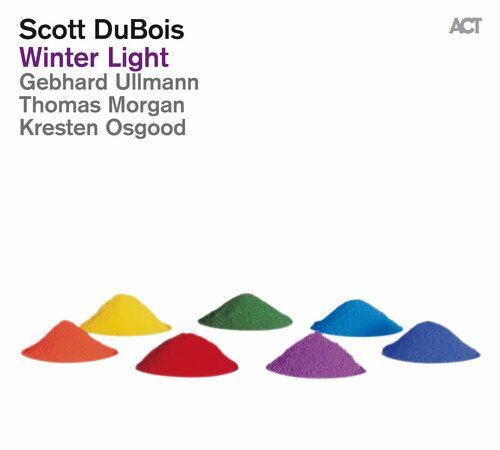 Like the Abercrombie recordings, guitarist Scott DuBois' Winter on ACT exhibits similar good taste, restraint, and when the setting is right, explosions of energy. 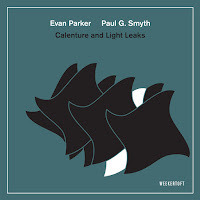 Calling upon an international cast, the NYC based guitarist employs the melodic and spacious tastes of German saxophonist Gebhard Ullman, American bassist Tomas Morgan, and Danish drummer Kresten Osgood. The opening 'First Light Tundra' is a slow building track that begins atmospherically, and in a sense, starts the wintry day. To illustrate the diffused early morning light, the guitarist uses a chiming effect and Morgan and Osgood provide an undercurrent of tension. When Ullman enters, his bass clarinet rises with a lightness over the thickening atmosphere. 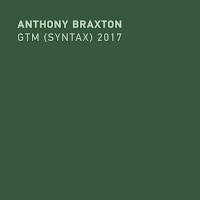 The song hold the tension from start to finish, with brief flashes of the brilliant energy that appear repeatedly, especially as the guitar and clarinet clash. The following 'Early Morning Forest' is a more exuberant track than the epic opening statement. Bass and drums seem to provide an upbeat assessment of the day ahead, into which DuBois enters slowly. Ullman's tone ranges from icy and biting to warm and embracing, and by holding back a bit, even chafing against the rhythm section, he adds great tension to the tracks. The guitarist's turn is fleet and by turns, burning. Jumping ahead, 'Evening Blizzard' is an austere event, with a rhythm that roils below a melodic entrance by Ullman that eventually becomes more frenetic and angular. 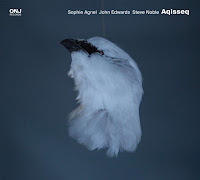 Winter Light is a delight for guitar fans, and especially those who enjoy the work of John Abercrombie and Terje Rypdal.